This section provides answers to many of the common questions that arise as new students and prospective students are looking at martial arts training. The Message Center can also be used to get more information as well. Click on a FAQ area to learn more. 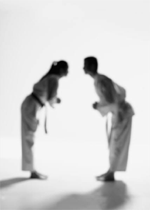 Taekwon-Do is a Korean marital art that involves blocking and attacking movements using the hands and feet for self-defense against one or more assailants. Known for its kicking, Taekwon-Do offers a martial arts experience for young and old alike. It improves flexibility, balance and your overall health. More importantly Taekwon-Do is Fun! Come and experience it yourself. At Trinity Taekwon-Do we are focused on teaching strong and effective martial arts skills and discipline while maintaining a class environment that is friendly and fun. Classes are currently held at the Broomfield Community Center (BCC) . This facility is right next to the Bay Aquatic Park. An open invitation is to you to come by and visit or watch a class anytime. Because Taekwon-Do involves following verbal directions and coordinated eye-hand/foot skills, the best age to start can vary from child to child. For most kids, five (5) or six (6) is just the right age as these kids are founded in their ability to sit still (for brief periods), recognize left from right and generally have good motor skills. The best choice is to come and visit, learn more about our school and try it out. Our instructors are great with kids and we would enjoy having another friendly face. Trinity Taekwon-Do offers classes four (4) days a week (Monday, Wednesday, Friday and Saturday) unless the Recreation Center is closed. 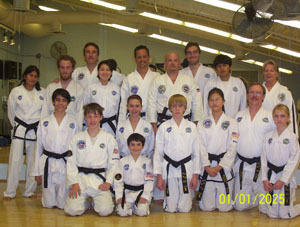 Participation in classes at Trinity Taekwon-Do is on a month-to-month basis. There is no requirement for a long-term commitment (e.g. contract). While some students desire to have a dobok (uniform), and sparring pads immediately, this is not required. Students can train for a period of time in a t-shirt and sweat pants. Sparring pads can be later acquired later on as well. The initial expenses that are required include: (1) Athletic protector and cup (for boys); and (2) a protective mouthpiece. Each of these are relatively inexpensive and can be acquired through Trinity Taekwon-Do or a local Wallmart. Trinity Taekwon-Do offers continuing martial arts training for all students from white belt through 7th Degree Black Belt. At routine intervals throughout the year we conduct student promotion events for students continuing in their training. These events are an additional expense and occur every 3-4 months. The expense of these promotion events vary depending upon the level (experience) of the student. Finally, there is an annual membership fee for participation in Rocky Mountain Taekwon-Do Alliance (RMTA). All-in-all martial arts instruction at Trinity Taekwon-Do is very high quality, family oriented and cost effective in contrast to many other schools or programs available in the Denver area. 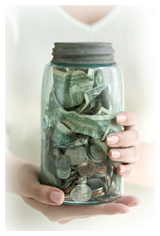 We welcome the opportunity to discuss any additional questions surrounding costs and expenses. Visit our class or the Message Center to further inquire. There is no contract to sign or long-term commitment required. This allows for family vacations and offers flexibility in the busy schedules that often surround children and "raising kids". The decision to participate is solely yours and is as simple as a month-to-month choice. Interest in our class are always very high and our classes routinely have 20-30 students ranging from white belt to green belts. No worries though, every class is conducted by a senior black belt instructor and several junior black belt instructors offering student's first hand opportunities to learn and advance quickly. There's no better time to join than now! New students can start at Trinity Taekwon-Do at any time. Visit us soon and get signed up. Trinity Taekwon-Do seeks to offer excellence in martial arts training. Every class is taught by certified black belt instructors. Additionally students participating in our classes get the opportunity to be taught by Master Neidig (8th Degree), Mrs. Neidig (7th Degree) or Master Avila (7th Degree) nearly every night. We also have several other junior black belt instructors that assist in teaching on a routine basis. In most instances the number of kids to an instructors is typically 10-12 for every instructor. While we seek to offer a high level of "hands-on" instruction, there is no substitute for students practicing outside of the standard classes. This is a key to individual success and advancement. Although injuries may occur from time to time, they are generally bumps and bruises and no more serious than injuries that happen during other sports (e.g. football, basketball, snowboarding, etc.) that kids are involved in. In fact, injuries in martial arts are generally less frequent and minor in severity. At Trinity Taekwon-Do, classes are for everyone, young and old alike. 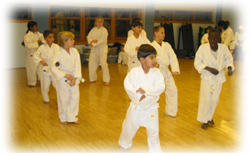 Taekwon-Do is great exercise and can be a fun family activity for all member's of the family. Discipline inside and outside of class is an important part of Taekwon-Do at Trinity Taekwon-Do. Bowing and addressing your seniors and fellow students properly is part of learning this. All of this is not that much different than your Mom reminding you to "Mind your P's and Q's". If you're new, don't worry about learning all the "Dos and Don't s" right away - you'll pick it up along with everything else.